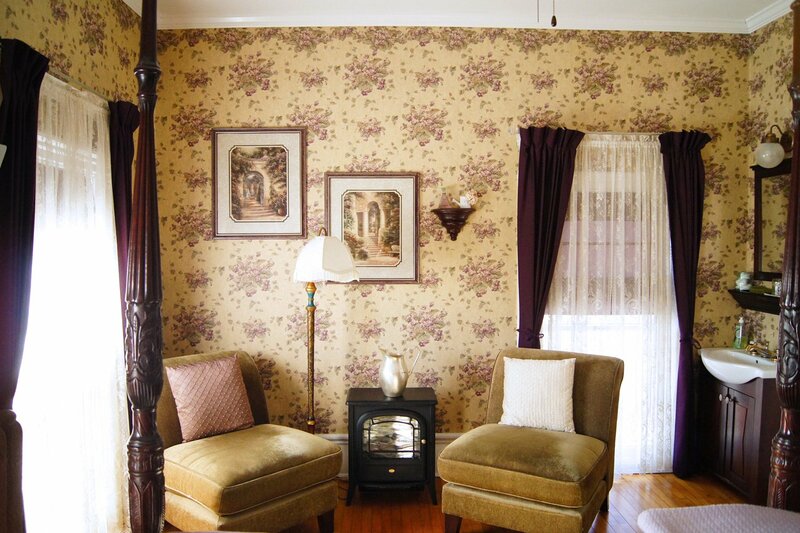 This room invokes memories of a bygone Victorian era. 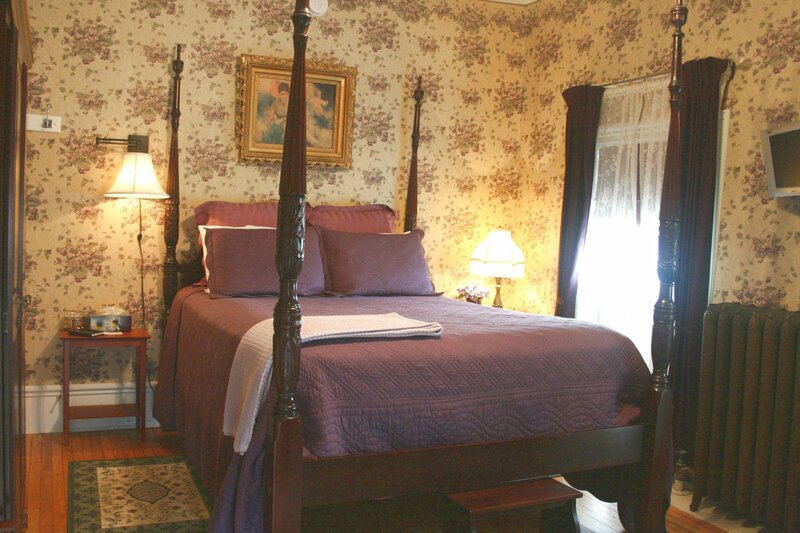 This corner bedroom is decorated in soft violet tones and has a queen size four poster mahogany bed, lace curtains and two comfy chairs for relaxing. 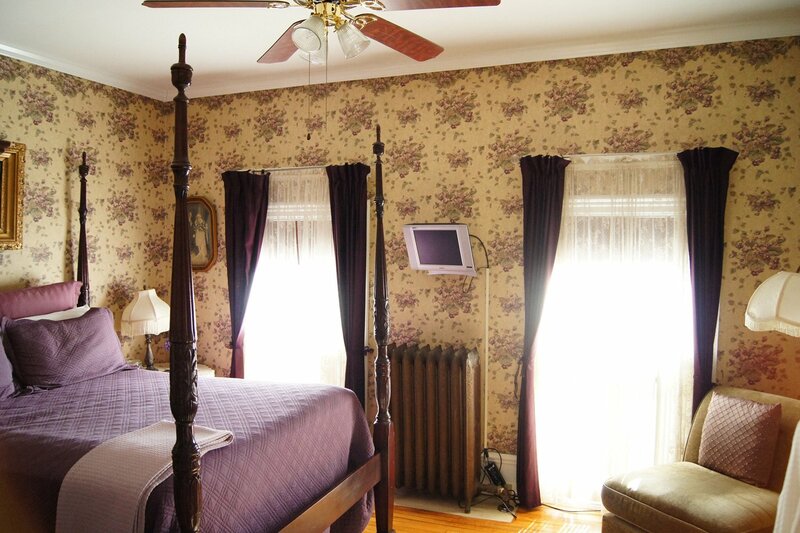 Wall-mounted flat screen TV with DISH Network programming. Per Night, two persons sharing. Includes breakfast each morning along with beverages and snacks available 24 hours.